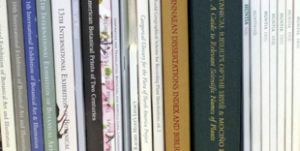 The Michel Adanson Library at Hunt Institute includes the botanical portion of Adanson's personal library, along with correspondence, manuscripts, and a large number of plant illustrations clipped from published sources. 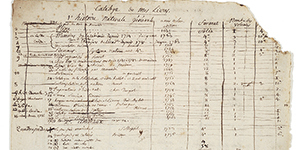 As we continue to digitize this collection, PDFs are added to the finding aid. Through history the virtues and pleasures of herbs have enhanced our daily lives and connected us to the natural world through all of our senses. 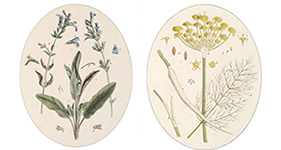 Illustrated by original watercolors and prints, rare books or manuscript pages from the Hunt Institute's Art, Library and Archives collections, this online adaptation contains a selection of the herbs included in the 2007 gallery exhibition.